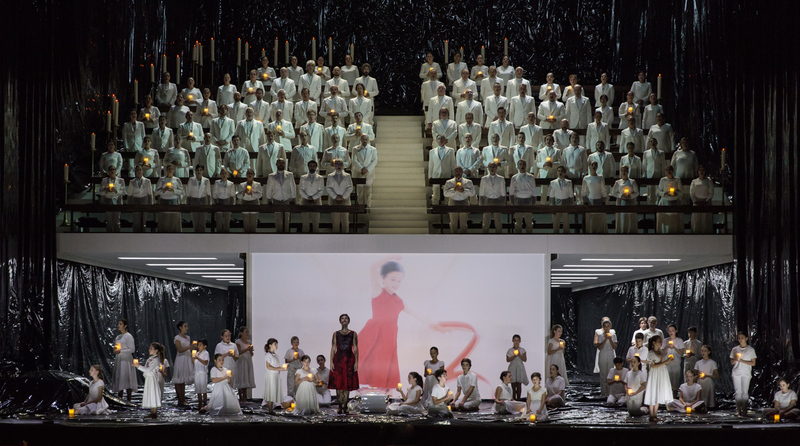 This new production of Hector Berlioz‘ La Damnation de Faust, staged by Italian director Damiano Michieletto, world-premiered last night at Teatro dell’Opera di Roma, Italy. 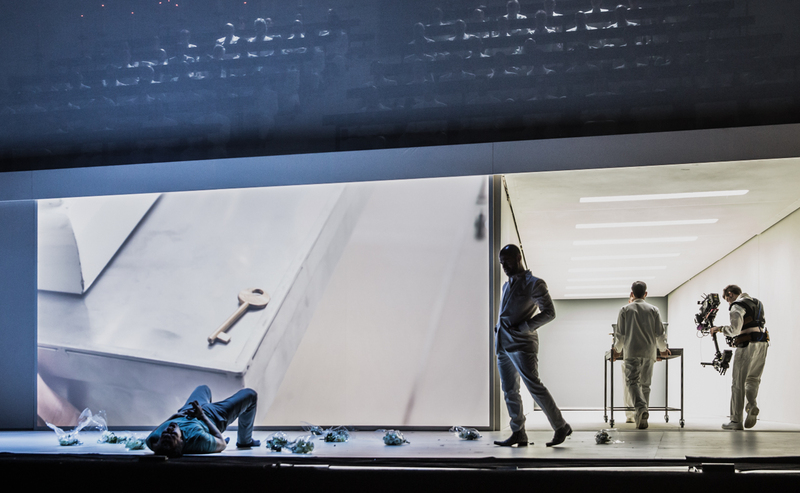 The set is designed by Paolo Fantin, costumes are by Carla Teti, lighting is designed by Alessandro Carletti. Roca Film produced the videos. 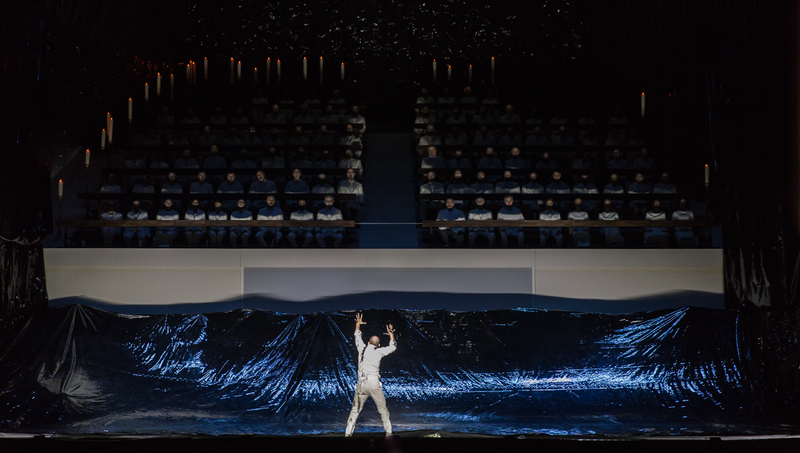 The set shows Méphistophélès’ laboratory and is all in white. At a higher level than the stage is the chorus which seems to be praying at a funeral as if it were a church. Beneath it, two long white corridors illuminated with neon lead to an indefinite light at their end. The corridors open and close by means of two sliding panels between which is a surface where video is projected. 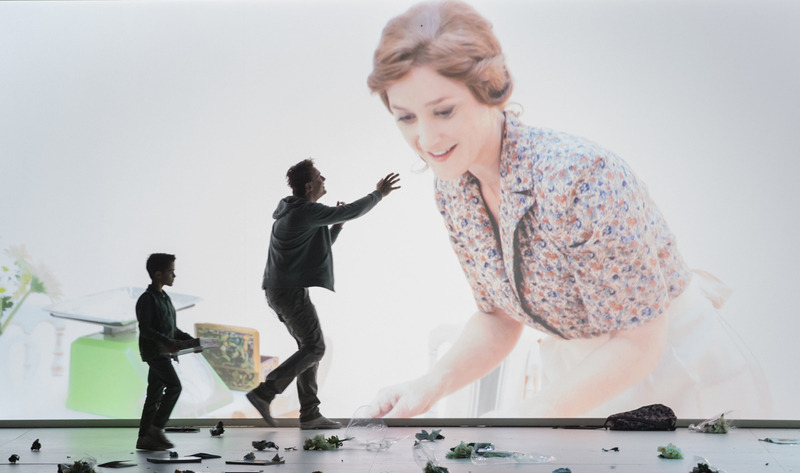 Scenography Today has interviewed Paolo Fantin to know more about his design. 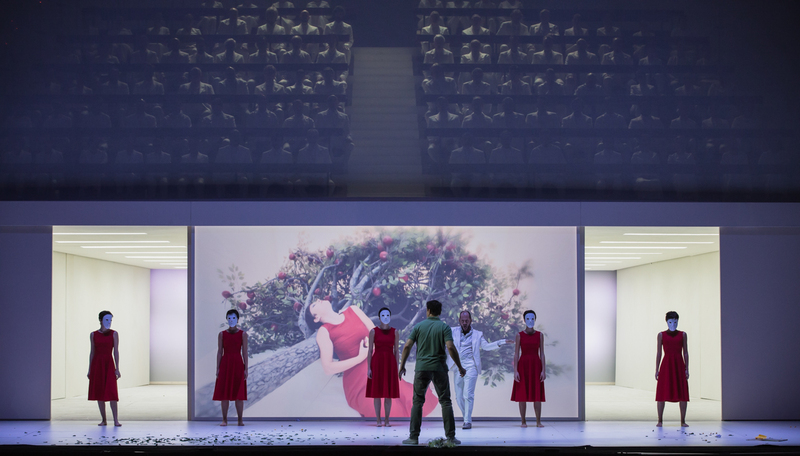 [GP] Paolo Fantin, who is the Faust we see on stage? [PF] Our Faust is an adolescent having a life crisis. And the devil is what sometimes is found inside us and wears us down: depression. 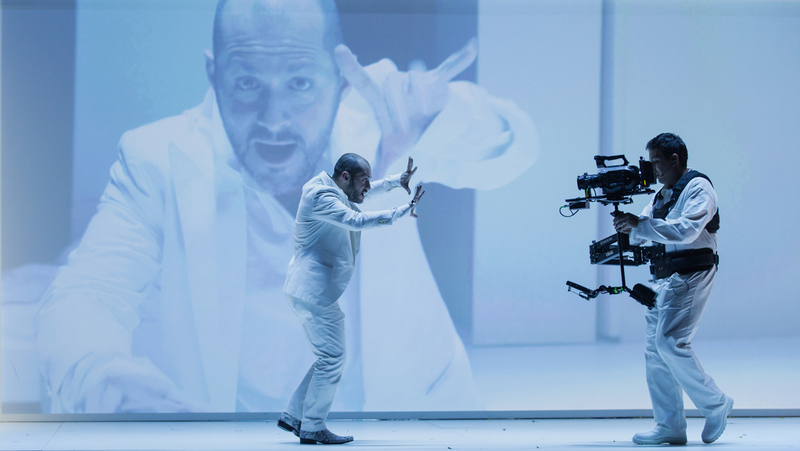 The whole show takes place, temporally, in the moment Faust decides to kill himself. We tell the story behind his gesture. We do it through visions. We narrate Faust’s past by telling of what he lacks in life. He kills himself because he has no relationships, he has turned in on himself, he does not have someone to look him in the eye. We tell of his mother who died when he was a child and of his father who is an alcoholic. We tell of the bullying turning against him. About the set, what is the function of the corridors? From the corridors, Faust’s memories from the past emerge. I was inspired by the so-called near-death experiences, I have tried to recreate the white tunnel that many report having seen. You utilize the corridors both on stage and through a Steadicam. Yes, we have two Steadicam operators on stage. 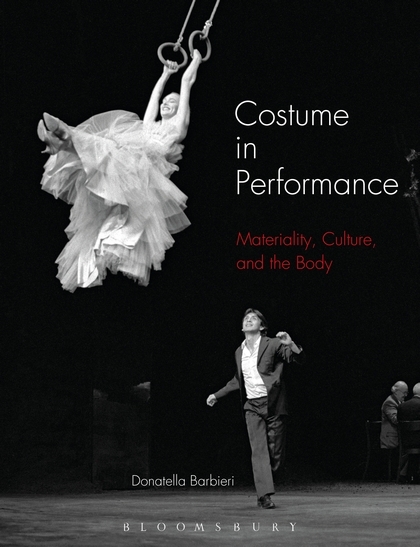 One camera films things happening on stage and shows the smallest details invisible to the spectator, for example, a key in a coffin that is the key to the whole opera and whose meaning is understood only at the end. Then there is a Steadicam following the characters in the corridors once the sliding doors have been closed. The viewer continues to see what happens inside on the 6 meters wide screen in the middle. 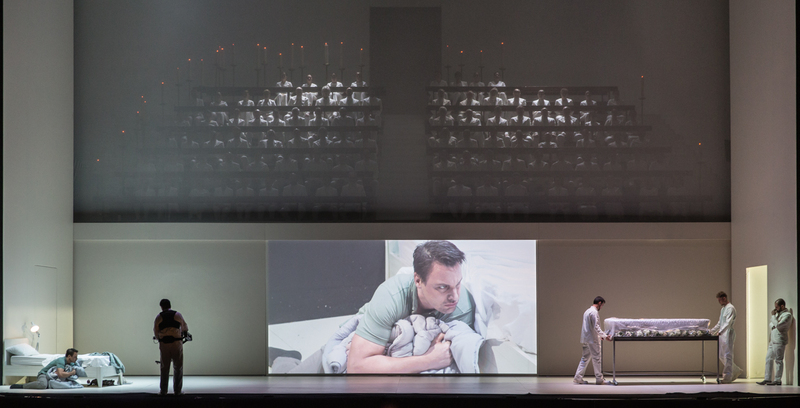 For us, this is Méphistophélès’ eye looking and analyzing Faust under the microscope as if he were a test animal. We can say that the camera is his eye. 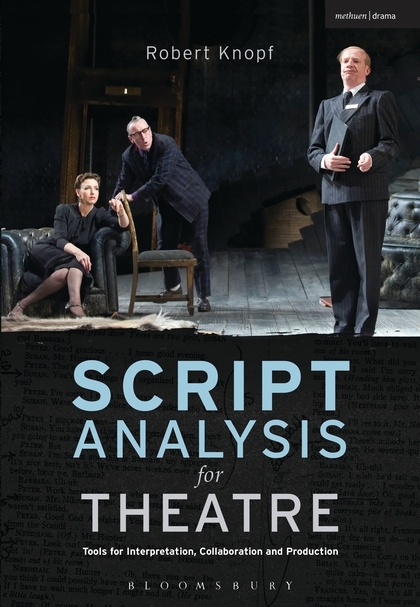 In this set, you make extensive use of symbolism. Tell us something about Eden. 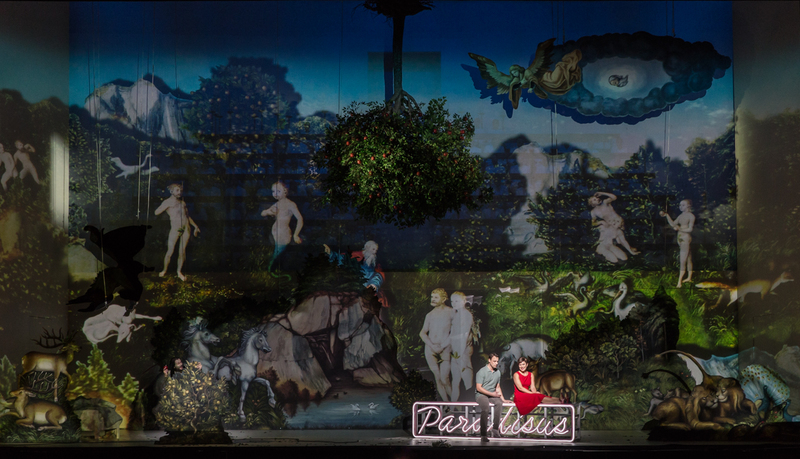 When Marguerite and Faust meet and sing their duet, Méphistophélès creates for them the illusion of being Adam and Eve in Eden. It is a very strange Eden, however, because the tree is upside down, all elements are upside down precisely because they were created by Méphistophélès. We see a reference to Renaissance art. Yes, I was inspired by Lucas Cranach’s paintings, which represent Eden with vivid colors and very beautiful touches of light. I took and modified them to create a 3D vision as if the characters were in a painting. The picture, however, will be destroyed in a second after their meeting, as an illusion, a scenography. There is also an ironic neon writing saying ‘Paradisus’. The writing will explode as the dream fades and the paradise is destroyed. There are also many other props with a metaphorical meaning. 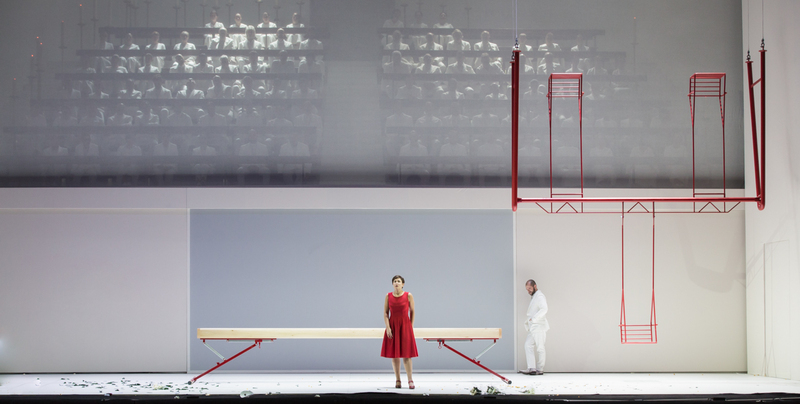 Yes, there is the swing with upside down seats—in this upside down world of Méphistophélès with no gravity. There is the balance beam on which Marguerite and Faust as children try to meet and to remain in a balance that Méphistophélès will break. Or even the line traced in red by Marguerite, as red are the swing and her dress. One element is on stage all the time, the bed. It’s the bed in Faust’s room. Actually, the whole story begins and ends exactly there, the moment he decides to kill himself. When we started thinking about this, the blue whale phenomenon came to my mind; these guys who make a journey into their social isolation and end up throwing themselves off a building. And in fact, Faust will eventually believe he is among the Flemish paintings of Cranach but he is actually on top of a building and the video shows his legs on the precipice from which he will then throw himself. What happens on stage at that moment? At that moment Méphistophélès has finally won. 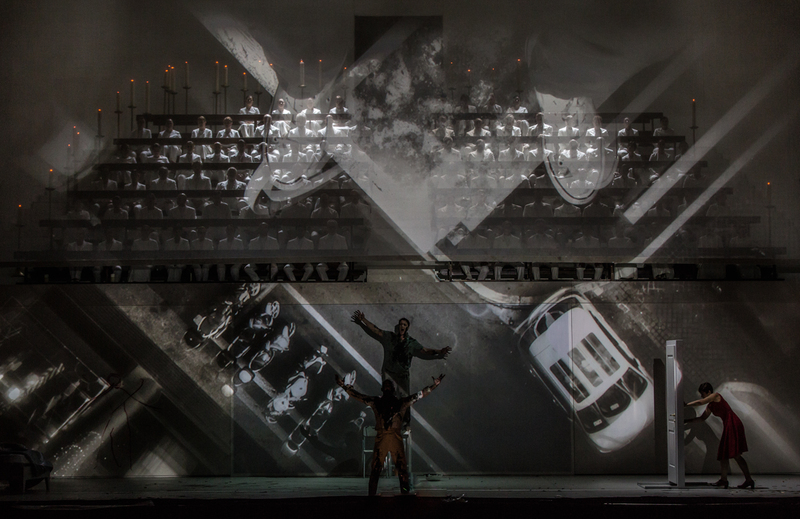 The moment he possesses Faust’s soul, the hallucinatory and clinical white scene is invaded by a black magma. A black plastic, flowing like a blob. How did you make this magma technically? I used a black vinyl worked in two layers giving volume to the top one so to make it look materico, the Alberto Burri way, we could say. The vinyl is lowered very slowly with 5 different lift lines to give the sense of flowing magma. What was the technically most demanding effect? The hardest thing in this performance was definitely the use of the camera and video because in addition to live videos there are many pre-recorded clips. To do that we built a tunnel in the rehearsal room where we filmed the scenes, a trick that the audience does not really notice.